Highly-coveted, natural hair brands are now readily available at your neighborhood Target Store (because of the impact we've made...shuttin' the internets down and all and illustrating our buying power) and while it has become the new normal, we must not forget that this is a relatively new, and much appreciated development. At any rate, I'm constantly bombarded with gifted, subscription beauty boxes which I generally have no use for 'cause (1) I've got my Holy Grails already, (2) I feel utterly disrespected when folks have the audacity to want me to pay (or have me ask you to pay) for teeny-tiny sample sizes of conditioner #CanIGet50PacketsOfThemJointsTho, and (3) they're grossly overpriced for what you get. 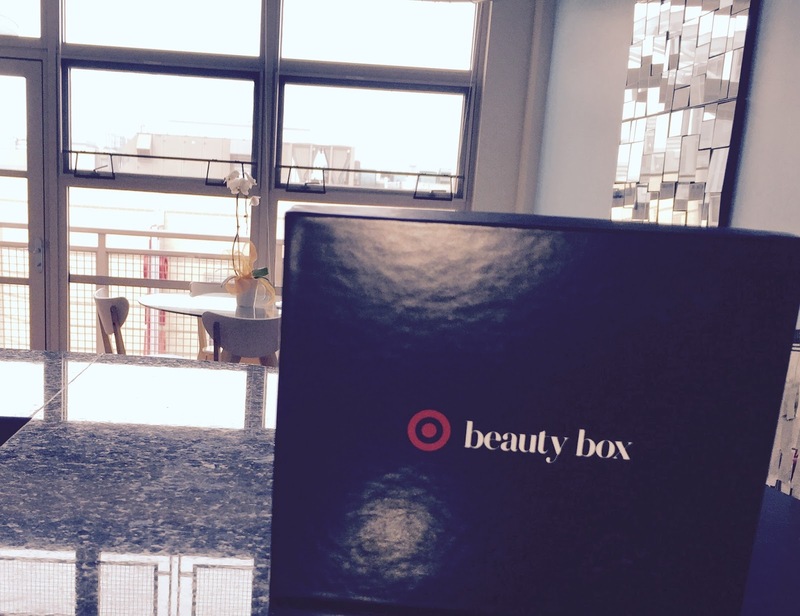 But when I got a non-subscription box in the mail from Target, my curiosity was peaked. The included products were the top sellers in their respective categories, were of a respectful quantity and of course, were readily available at Target in the event that you loved them so much you were moved to cop full sizes.